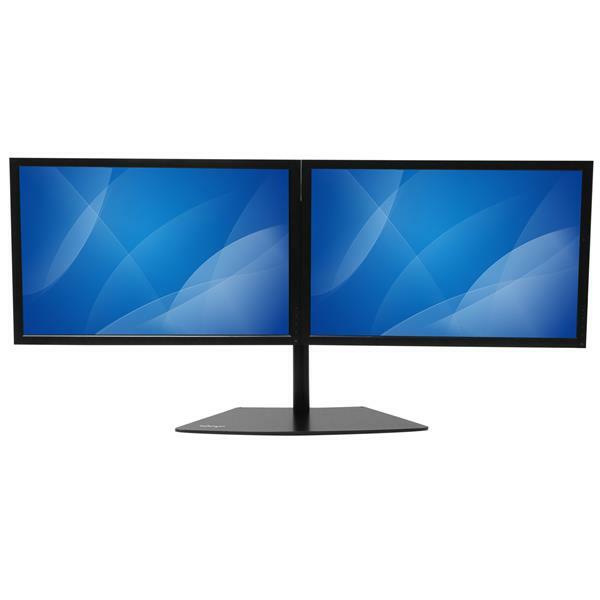 Enhance productivity and free up space by mounting two monitors up to 24"
Increase your productivity and free up desk space with this dual-monitor stand. The free-standing mount lets you install two displays up to 24”, side by side, on a single base that you can place in virtually any workspace. The black finish complements your office decor. 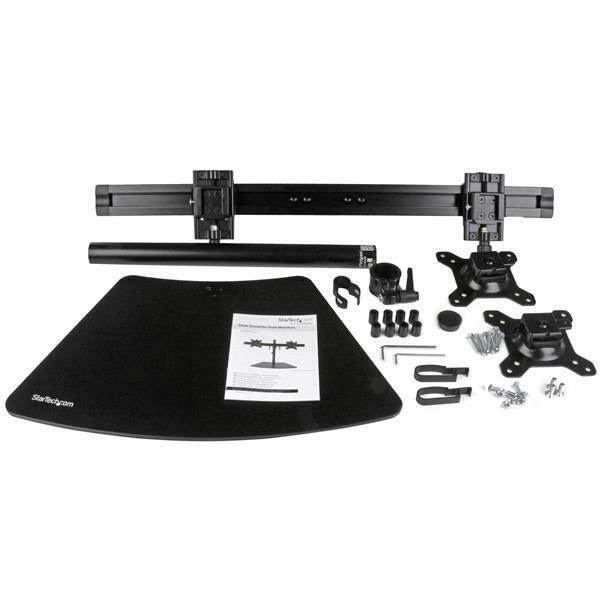 Set up a dual-monitor workstation with this VESA monitor stand (75x75, 100x100 mm) to multitask faster and boost your productivity. Compare and edit files on two screens with ease. 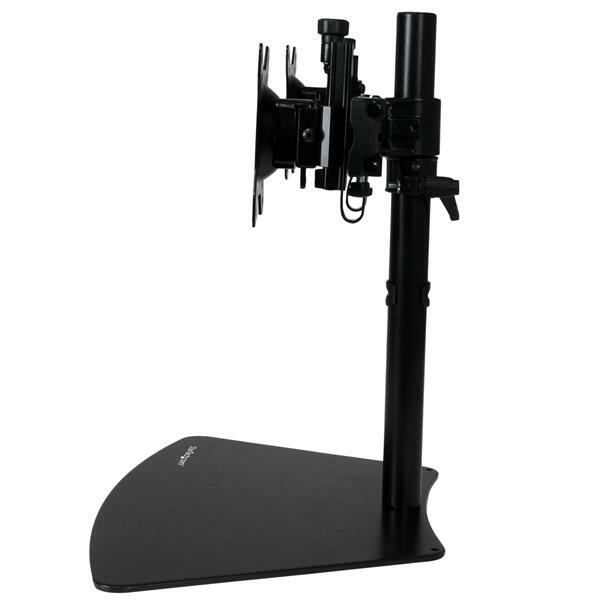 Rotate your monitors 360 degrees for portrait or landscape viewing. 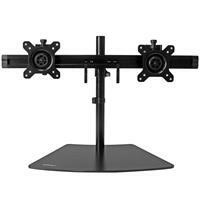 Maximize the surface area on your desk with the twin-monitor stand. 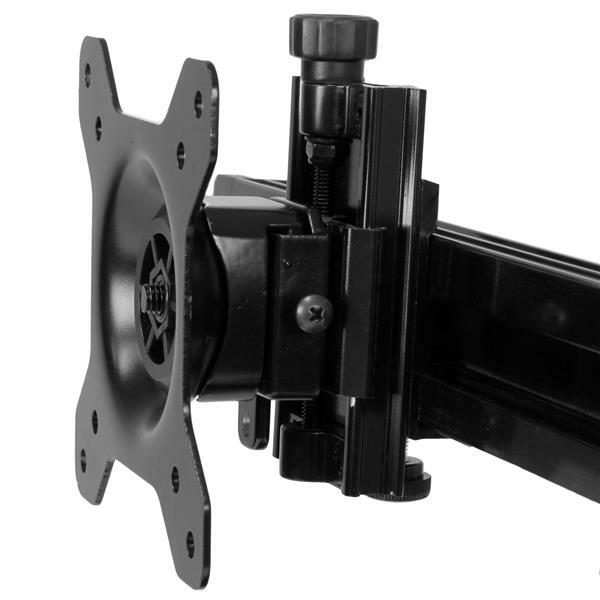 Its crossbar design makes it easy to mount two flat-panel displays. The monitor stand features a flat, low-profile back so you can position your displays against an office wall or cubicle wall to free up space. 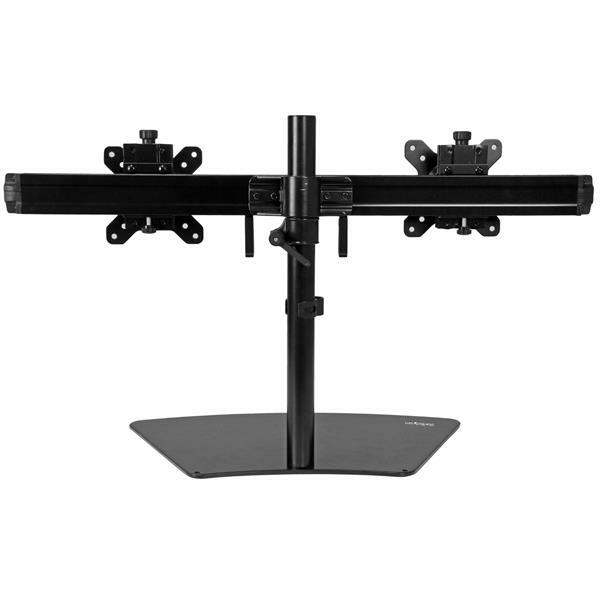 The crossbar design of the dual-monitor stand keeps your monitors perfectly aligned for comfortable viewing. You can customize the positioning of your displays with +/-15 degree tilt. 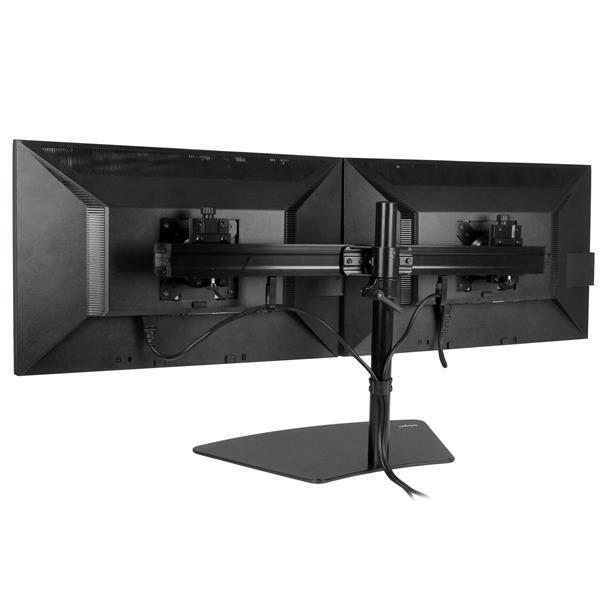 You can also adjust the height of the monitors along the pole, up to 15.9" (40.5 cm). The robust steel and aluminum monitor stand provides a stable setup for your workstation. The sturdy platform also allows flexible use as a temporary setup, for example, to make presentations in the boardroom. ARMBARDUO is backed by a 5-year StarTech.com warranty and free lifetime technical support.